Is this how Conspiracy theories start? This was in my Junk Mail comes from Freedomnetwork whoever. whatever idiot that may be.. Overwhelming evidence has surfaced to prove that Sandy Hooks is a hoax. For example, the recently released CNN helicopter footage that is supposed to show children escaping from the school is obviously set somewhere else. The “grieving” parents are surprisingly joyful during their interviews. The footage from the early hours of the incident shows a traffic pattern that makes it impossible for emergency vehicles to operate. There are many other points with various degrees of credibility, but anyone doing serious research should find plenty to disprove the “official” story. In spite of this, many people still manage to believe the TV version of the Sandy Hoax drama. And then he goes on and on… and on, No facts just hysterics. 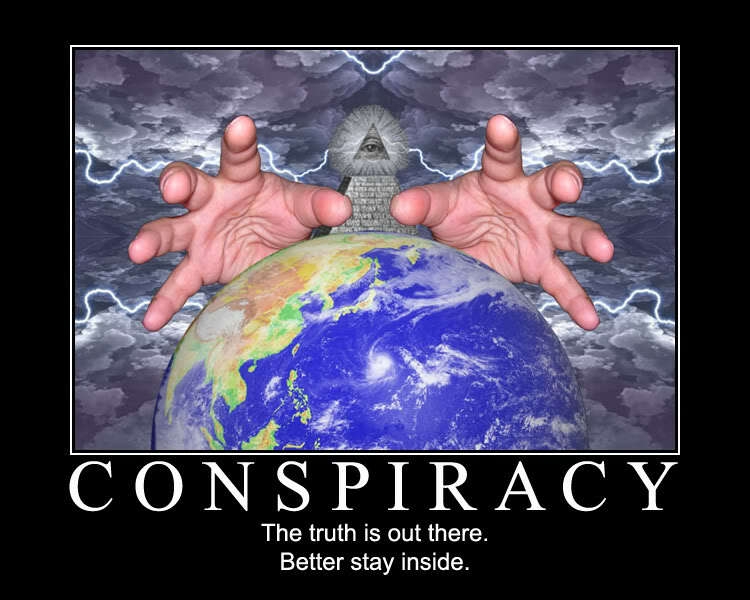 When it comes to conspiracy theories one has to investigate the motive – always!. There are only three which cannot quite be disproved with facts. And of course the death of Princess Diana. I have read all the books on Conspiracy theories you see! Just because!